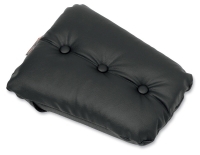 Saddlemen™ Pillow Top SaddleGel™ Pads have a nostalgic button-tufted style. They feature an extra-soft layer of pillow foam on top of Saddlemen's famous SaddleGel™. Quick-disconnect harness system mounts over the seat and remains in place when pad is removed. 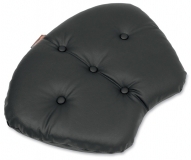 These comfortable, strap-down gel seat pads look perfect on top of most cruisers. Available in three different sizes, to suit almost any motorcycle seat, or many other surfaces. 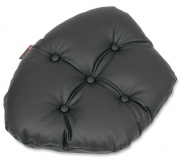 Large Size Pillow Top SaddleGel Pad.